The Big Idea: Time spent observing things outside is time spent building science skills. 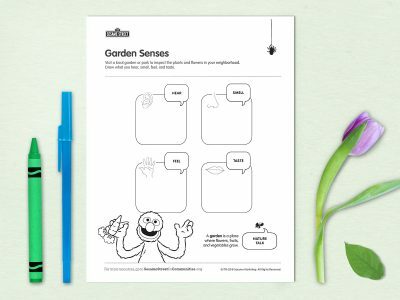 Print this page and head to the park or a garden to observe nature. Bring along pencils or crayons and invite kids to draw one thing they feel, hear, smell, and (if possible) taste.